If you've ever felt alone in your crochet business, stressed and anxious, or stuck figuring out how to move forward, to break into the online market, or to deeply understand how to succeed in the business of crochet, today is your day! Today is the day that you can take the next best step toward reaching your goals and creating the profitable business you long for. Peruse the options below and select the best one for your current situation. Then, schedule your appointment with Pam Grice, the Crochetpreneur mentor (counselor, designer, maker, coach), and you're on your way to crushing your business goals like the rockstar you are. I can't wait to work with you! Don't know what to work on next or where to focus your energies? Feeling overwhelmed and need encouragement? 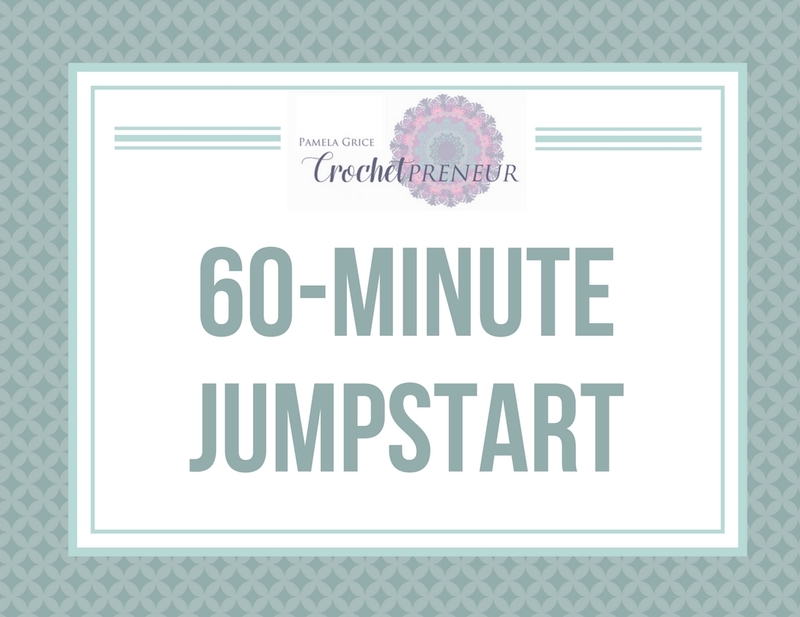 The 60-Minute Jumpstart is the boost (or kick in the pants) you need to feel reenergized and back on a productive path with your crochet business. I prefer that our meeting be held via video chat and I will send you a link prior to our scheduled appointment. Please let me know if you prefer to meet via telephone. Ready to learn the ins and outs of running a focused, productive, and profitable maker business? 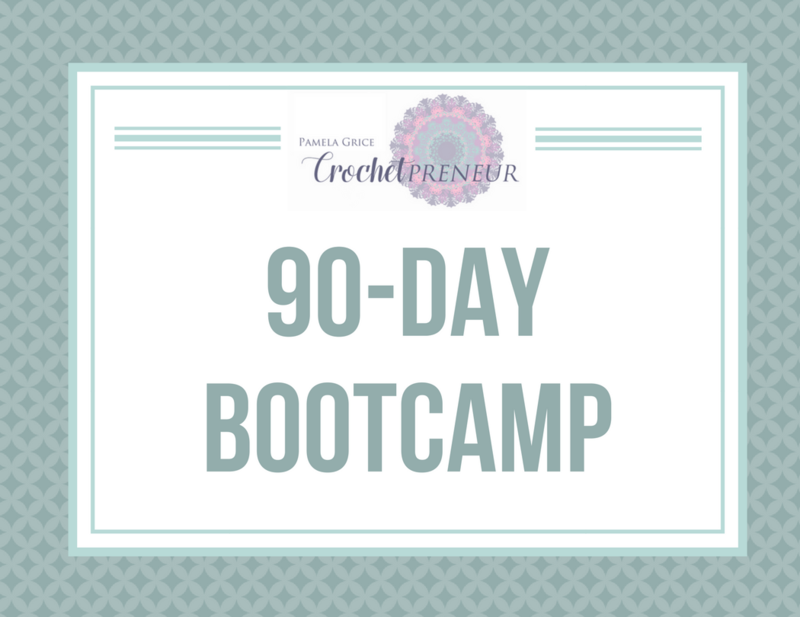 With the 90-Day Bootcamp, we'll work together to define your goals and stumbling blocks and develop your personal strategy for success. We'll meet for our initial 60-minute consultation to start the process of tackling your business' unique pain points. Then, at 30 and 60 days, we'll meet again for a 30-minutes check in to analyze what worked and what didn't and establish new goals for the coming month. Finally, we'll review your progress with another 30-minute celebration call at 90 days. At that time, we'll review your progress and consider the next best steps for your business. 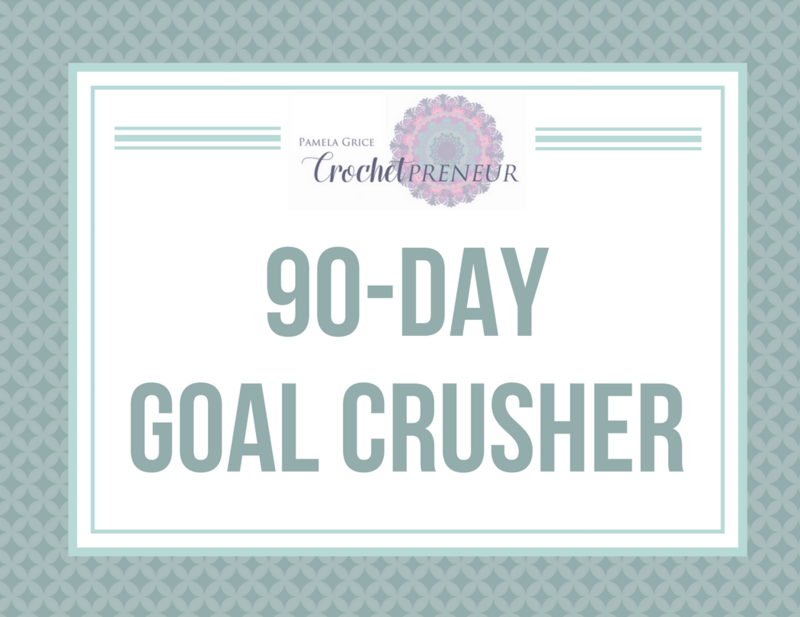 The 90-day Goal Crusher Package is designed to propel the established crochet business owner to the next level of excellence in marketing, customer service, and, ultimately, sales. If you're ready to make a commitment to building your business and designing goals to make things happen, this is the package for you. First, we'll meet for our initial 60-minute consultation to start the process of truly digging deep into your business and ways to help it grown. Then, we'll meet every week for a 30-minute check in to analyze what worked and what didn't. Then, we'll establish new goals for the coming week. Finally, we'll review your progress with a 30-minute celebration call at 90 days. At that time, we'll review your progress and consider the next best steps for your business. This is the perfect package for the seller whose shop is doing "OK", but you're aware of a few specific trouble areas...you're just not sure how to fix them. When you purchase, you'll be linked to a survey. 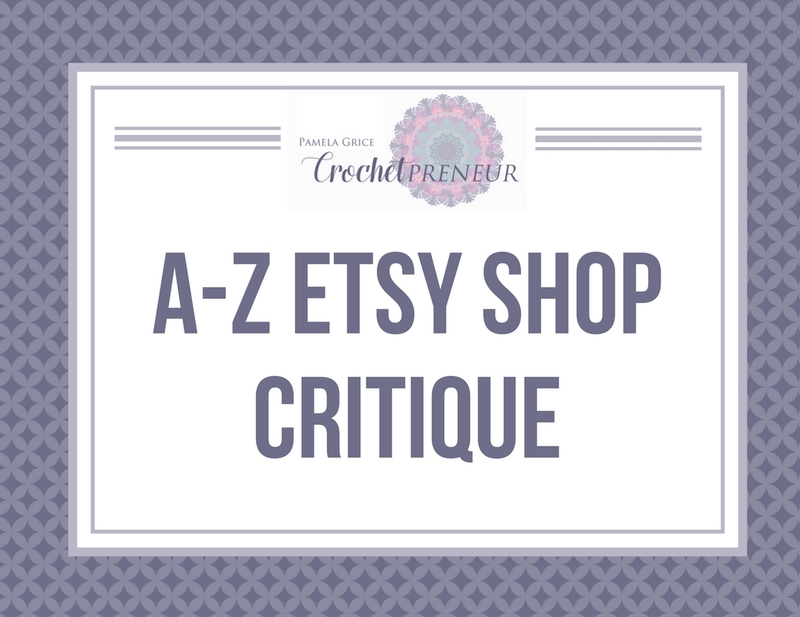 Simply fill it out and identify your TOP 3 Etsy shop struggles. I will analyze these problem areas and suggest changes to increase engagement, clicks, and sales! 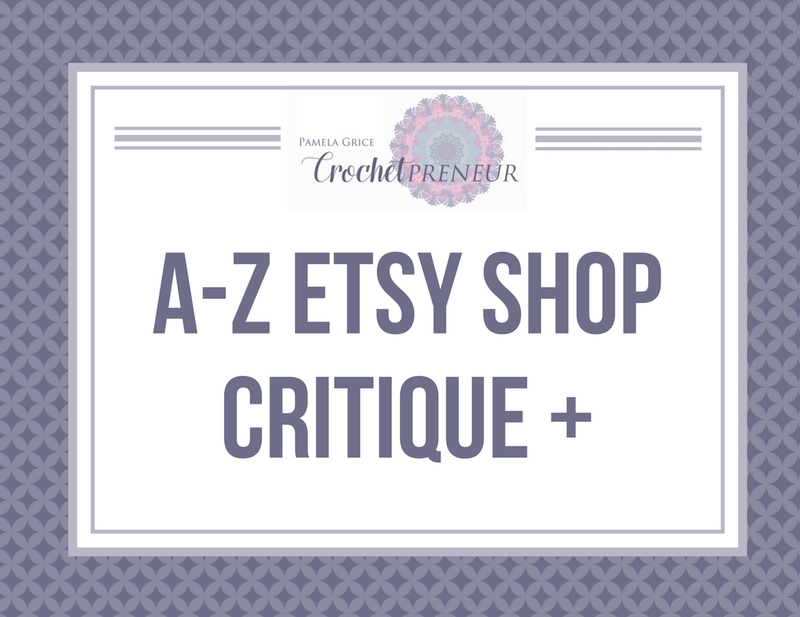 You select the focus of my investigation and, then, receive a one-page report with my analysis and suggested solutions to kickstart your Etsy biz! Want to know how a customer experiences your shop? Interested in doing the hard tweaks that it takes to increase visits and increase sales? This is the critique for you. Once you've made your purchase, you'll be brought to a survey where you can tell me a little bit more about your shop and where you think the trouble spots are. Then, I'll do a detailed investigation of ALL areas of your shop and return your 3-page report within 7 days. Once you've had the opportunity to read over the suggestions, you'll have 48 hours to ask questions and get some even deeper insights into the practical solutions I'll offer. This package is for the Etsy shop owner who is either (a) just starting out and wants to be sure all her ducks are in a row in order to set her shop up for optimum success or (b) the experienced shop owner who is ready to take her shop to the next level of sales and profits. You comprehensive shop analysis will include an analysis of your: branding, product line, keywords, description, pricing, photos, policies, categories, about section, maker bio, marketing, shipping, and more!